The Jean McLaughlin Women’s Center was created to treat a woman’s body, nourish her mind and rejuvenate her spirit. Here, we combine the most advanced technologies for diagnosis and treatment, with personalized, compassionate care provided in a peaceful, healing environment. A key component of the Jean McLaughlin Women’s Center for Health and Healing is the Breast Center. The Breast Center is designed to provide screening and diagnostic procedures, as well as coordinated care, support services and resources for men and women who have been diagnosed with breast cancer. Our team includes physicians, radiologists, nurses, and a nurse navigator all working together to provide women with personal attention and comprehensive care. Thanks in part to the generosity of our donors; the Jean McLaughlin Women’s Center is able to offer the latest in mammography technology to our community. The Selenia Dimensions system 3D Mammography, powered by Hologic, has set the standard in mammography screening. It offers the world’s first and only tomosynthesis-guided biopsy, which helps medical professionals localize and assess lesions. Digital breast tomosynthesis is a 3D method of imaging that reduces tissue overlap typically seen in regular 2D mammography. This technology has been shown to decrease false positive findings that often result from overlapping breast tissue that might mimic a suspicious finding. Each gift to the Jean McLaughlin Women's Center helps sustain our mission to educate the community and help women who have been diagnosed with cancer navigate through their journey from diagnosis through survivorship. Give now to the Palomar Health Foundation or contact us at 760.739.2787 to discuss any gift opportunities or for other questions. 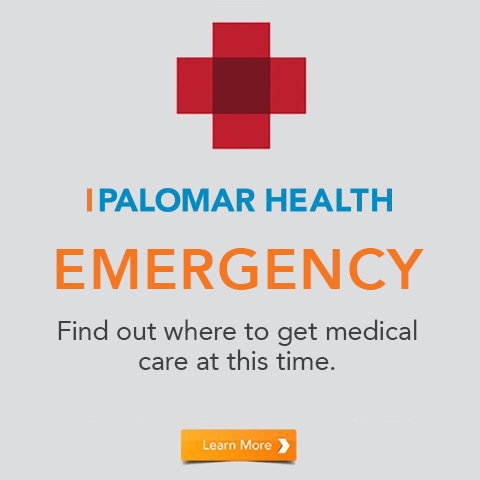 Palomar Health is a California Healthcare District.